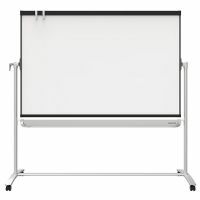 The Quartet Prestige 2 Mobile Board features a durable, magnetic whiteboard surface that resists ghosting and staining and is printed with a light grid pattern to keep handwriting aligned. � Mobile board is reversible for double the workspace. � Smooth rolling, 4-caster, star-base wheels. � Features quick and easy mobility. 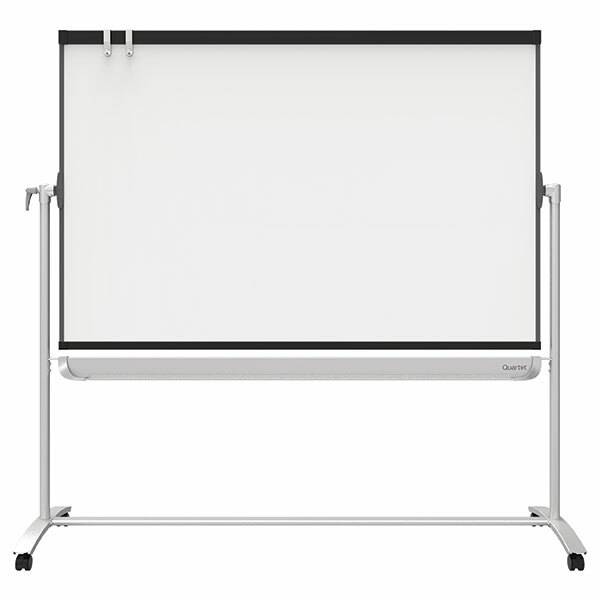 � Included flipchart holders support any standard size flipchart.